Restoring floodplains to give rivers more room to accommodate large floods is the best way to keep communities safe. 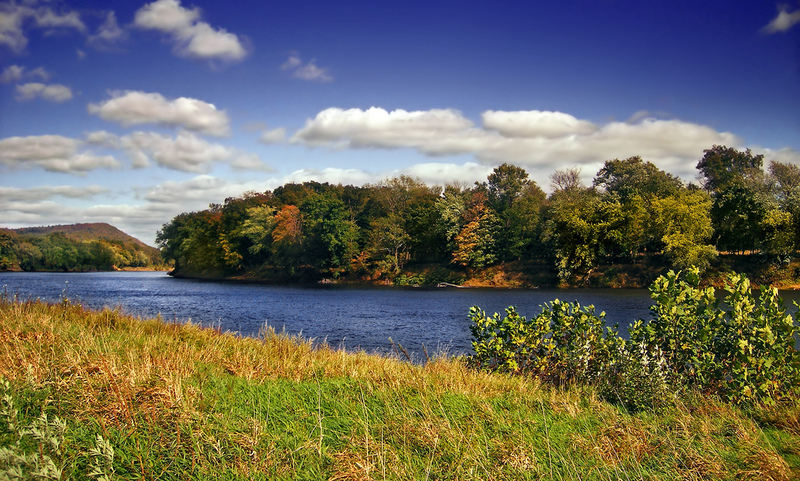 Giving rivers more room provides a number of other benefits including clean water; open space for agriculture, recreation and trails, and habitat for fish and wildlife. Floodplains are an integral part of healthy rivers and floods are a natural occurrence on rivers. Small floods are very important to the health of a river and the land around it. They nurture life in and around rivers. The fish, wildlife and plants that live in or along a river, or floodplain, often need floods to survive and reproduce. During big floods, healthy floodplains benefit communities by slowing and spreading dangerous flood waters that would otherwise flood riverside communities, harming people and property. Healthy floodplains are nature’s flood protection. Giving rivers room to move is our best protection against floods and is a great way to help keep rivers healthy. A flood happens when heavy rains or melting snow cause a river to rise and flow over its banks. Heavy rains over a short period of time can suddenly cause a flood. Or, lighter rains falling over many days or weeks build up, eventually causing the river to overflow. Natural rivers have small floods nearly every year, usually during the rainy season. During these seasonal floods, water spreads over riverside floodplains and creates seasonal wetlands that provide critical habitat for fish and birds. Some rivers completely transform between rainy and dry seasons. These small, frequent floods are an integral part of a healthy river. Many people think that all floods are bad. Small floods are, in fact, essential to the health of rivers. 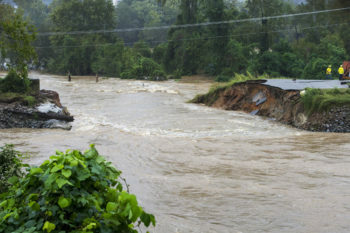 Floods allow a river’s water to reach more areas above and below ground. This water can be stored and used by nature and people. They also filter pollutants out of rivers and nourishing lands to support ecosystems and fertile areas for farming. Flooding creates islands and channels and other habitat that are home to fish, birds, and other wildlife. And while they do that, floods also help flush out invasive plants and animals, benefitting native species. The reproductive cycle of many species relies on flooding to start. For example, a number of fish, such as the sturgeon, and plants such as the willow tree. Very large floods occur much less often. They cause the river to spread out across a larger area, threatening homes and businesses constructed in the floodplain. The low-lying land on either side of a river’s banks makes up a river’s floodplains. Floodplains are actually a part of the river. They nurture life and naturally protect us from floods. Storing and slowing floodwaters - When a river floods, water spreads across the floodplain and slows down. Without floodplains, rivers would rise and move faster, just as water from a hose moves faster when you hold your finger over part of the opening. 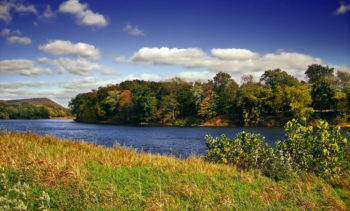 Improving water quality- Floodplains act as natural filters, absorbing harmful chemicals and other pollution, making rivers healthier for drinking and swimming, and for plants and animals. Safeguarding people and property- If floodplains are connected to rivers, they can hold water when floods cause a river’s banks to overflow. This can help prevent floodwaters from reaching homes and businesses. They are our first and best defense against flood damage. Creating fertile soil for crops - Rivers deposit sediment and nutrients in floodplains, making them very productive areas for growing crops. Nurturing life- Floodplains are a productive environment for plants and wildlife and serve as nurseries for many species of fish. They provide vital habitat and are important for maintaining the web of life. Providing recreation- These are ideal places for hiking, paddling, fishing, exercising, and connecting with the beauty of nature. 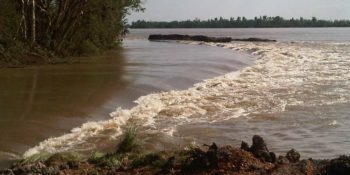 Recharging groundwater- During floods, water can replenish groundwater supplies. Capturing flood water during wet years is one of the best ways to ensure adequate groundwater during droughts. Large, infrequent floods can take lives and destroy property, which is why humans have tried so hard to “control” them with levees and dams. Unfortunately, most people don’t realize how harmful engineered structures can be. These structures can be overwhelmed by large floods. When they break or overtop they release massive amounts of water all at once, threatening lives, destroying homes and businesses and costing americans millions of dollars. Levees and floodwalls can and do fail - Sometimes floods are bigger than expected and can overtop levees or floodwalls. If a river floods for a long time water can damage a levee. Aging dams can be overwhelmed, releasing water with deadly force. Even using the latest techniques and design, structures can and do fail, and the consequences can be devastating. Engineered structures make floods worse - Levees and floodwalls unnaturally keep rivers within a narrow channel. This causes water to rise higher and flow faster than it would normally. This leads to more powerful and rapid flooding downstream, or creates a bottleneck which causes flooding upstream. Floodwalls lure people into harm’s way - Engineered structures can provide a false sense of security about living in a floodplain. People assume a levee will always protect them and are not always aware of how dangerous it can be. Levees destroy natural flood protection - Levees separate the river from its floodplain, starving the floodplain of water. This reduces the health of floodplain ecosystems and reduces their ability to hold water during floods. Dams and other structures block the flow of sediment and nutrients to areas downstream, which need them to support life. Giving rivers more room to accommodate large floods is the best way to keep communities safe. Whenever possible, floodplain restoration should be a go-to solution. Across the country, communities are realizing that natural floodplains are important to the health, safety, and prosperity of their citizens. Reconnecting and restoring floodplains results in less flood damage. Floodplains also provide clean and abundant water supplies, places to recreate, and healthy habitat for fish and wildlife. Setting back or notching levees - Moving a levee further back from a river can provide more room for a river to accommodate flood waters while still protecting vital infrastructure. If there is no infrastructure you can remove the entire levee or put holes in it to allow water to access the floodplain during a flood. 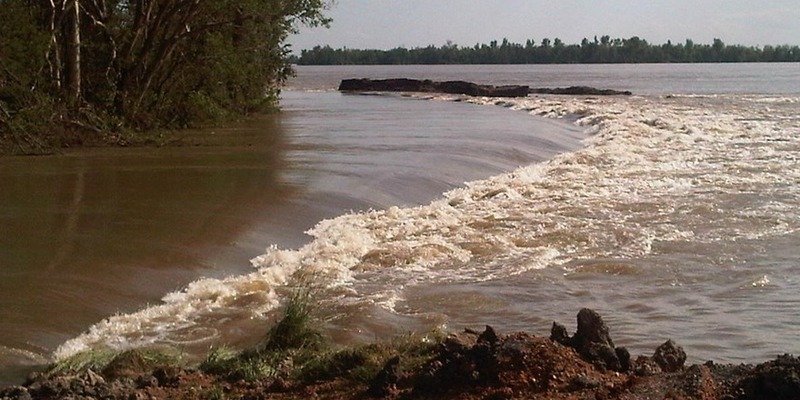 Levee setbacks have been used on the yakima river, missouri river, maquoketa river and many others in order to accommodate flood water and keep people safe. Repairing incised channels - Floodplains can also be disconnected from rivers as a river erodes deeper and deeper into its channel. By raising the river bed or excavating the river banks, we can recreate the ability of a river to flow onto its floodplain. Moving infrastructure out of the floodplain - One of the best ways to make sure people aren’t harmed by severe floods is to move them out of harm’s way. Moving flood-prone homes and buildings to higher ground is a life-saving action that can also be the first step to restoring floodplains to more natural habitat or recreational space. Communities such as tacoma, washington, tulsa, oklahoma, soldier’s grove, wisconsin, and cedar falls, iowa, have relocated businesses and homes away from areas that are at risk from floods. 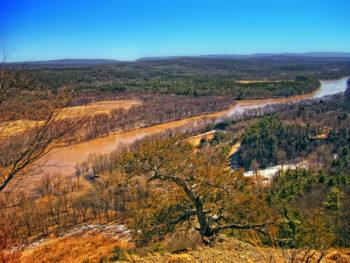 Reforestation - Even when rivers are connected to floodplains, the habitat may be degraded or overrun with invasive species. Planting native plants can bring back the native habitat with is better able to support native fish and wildlife. Communities like ottawa, illinois are restoring natural floodplain habitat as a component of their regional floodplain management strategy. Natural flood protection - We promote federal polices and plans that recognize healthy rivers and floodplains as being our best flood protection. Vibrant ecosystems - We help decision makers and the public understand how rivers and floodplains nurture life and provide a bounty of benefits, naturally and freely. Multiple-benefit solutions - We seek river restoration solutions that break down silos and solve multiple water resources problems, like flood management and fish habitat. By giving rivers room and restoring healthy floodplains, we can keep communities safe and improve the health of our rivers. This document depicts the need of flood insurance as a method of preparedness.